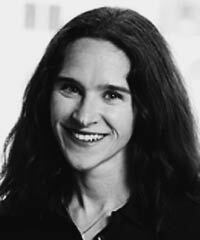 Eva Dienel is responsible for BSR’s editorial direction and media strategy. As BSR’s editor-in-chief, she led an overhaul of BSR’s content vehicles. Dienel serves as the lead editor of the BSR Insight and runs the editorial and production process as well as the organizationwide Editorial Council. She also directs the editing and production of BSR’s special projects and major reports, including the BSR report, Research publications, and BSR’s contributions to external publications. In addition to her editorial role, Dienel manages media strategy for BSR’s global headquarters in San Francisco, and she coleads the development of media sponsors for the BSR Conference. Prior to joining BSR, Dienel held a variety of senior positions in media and publishing firms, including Mother Jones magazine, Sierra Club Books, and Imagination Publishing.